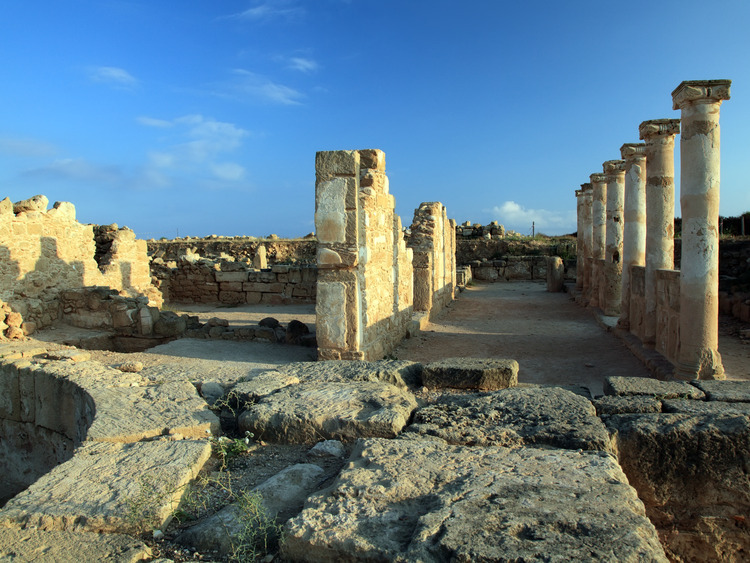 A medley of history and legend, Paphos is a truly unique location. A stage on which stories of Greek mythology play out and a place where significant archaeological findings have been discovered, it also offers modern amenities within the tourist centre, all awaiting to be discovered. Aphrodite's Rock, on the beach where, according to legend, the Goddess of beauty was born, right from the foam of the sea: this is where we begin our journey tracing Cyprus' millennial history. The tour continues in the direction of Paphos, an ancient port city on the west coast, one of the most interesting places on the island for art and archaeology lovers. Quite near to the residential centre, from the top of a cliff which provides a splendid view of the city, we will visit the King's Tombs, an evocative entombment site from the Ptolemaic Dynasty, excavated into the rock, and which has been declared a UNESCO Heritage Site. Once we arrive in Paphos, we will head toward the port area, where the Archaeological Site can be found, which includes sites and monuments dating back from the Prehistoric to the Medieval Periods, amongst which the marvellous Roman Period patrician houses with their superb mosaics, the most sophisticated in the Eastern Mediterranean. We will also visit the House of Dionysos, a rich residence which archaeologists dedicated to the God of wine who is frequently depicted on the splendid mosaics which adorn the villa. At the end of the visit, we will head to Paphos' tourist centre, where you will have free time to wander, buy souvenirs or sip a drink comfortably seated in one of the many bars along the small port, overlooking the sea.